The Almhof is all about the Tyrol’s relaxed and authentic life style. Enjoy the ambience, scenery and its excellent location. It’s just a 3 minute walk to the Seefeld pedestrian zone, and there are also no end of places for you and your family to discover and explore. Come and see our hotel for yourself - you’ll love it! 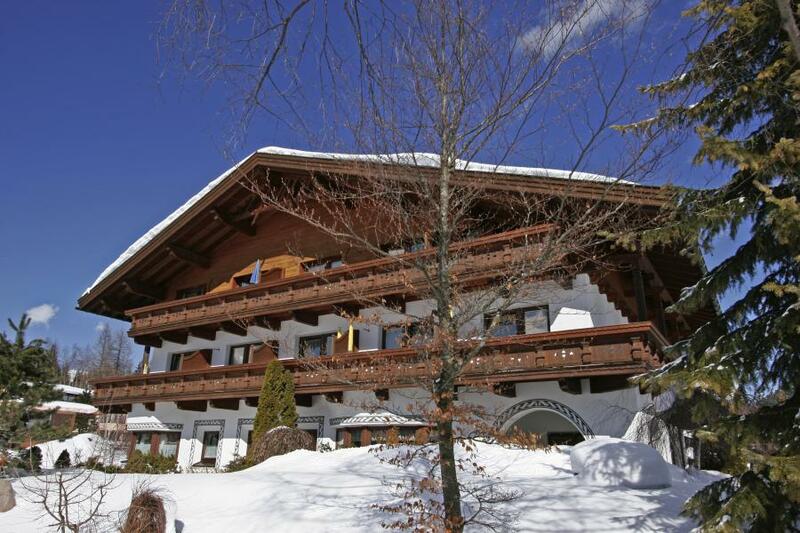 It’s built in the traditional Tyrolean style, it enjoys a quiet and central location, and it’s the ideal place to spend a comfortable, relaxed and carefree holiday, any time of the year! We look forward to your visit and are ready and willing to help in any way in the meantime!